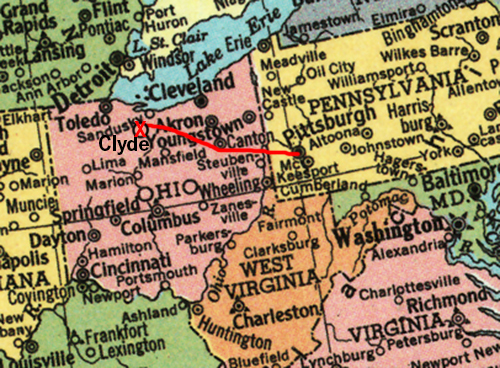 Kyle and I knew our destination for July 7th was Clyde, Ohio, a small town made famous by Sherwood Anderson’s novel Winesburg, Ohio. this was my first visit to the prototypical American town where big dreams die fast when the idea of being different makes you an outcast. The town where, if Sherwood Anderson had stayed, American literature would never have given birth to Ernest Hemingway, F. Scott Fitzgerald, or William Faulkner. Most of the people we met in town were a little stand-offish, and everything on Main Street was closed, but at least most of the businesses were actually all still going. Clyde can’t say the same today, 13 years later.